First of all. “Wintry Mix” sounds like something dreamy, like the inside of a snow globe. What’s happening outside is actually just cold rain, and is keeping me wrapped in this bathrobe and drinking coffee way longer than I should be. Don’t get me wrong, I don’t hate it, BUT, I’ve got to get to the supermarket. I promised my “little” 28 year old brother cupcakes for his birthday party tonight. Anyway…although I am really loving the way NY looks with all this snow (the beauty of it far outweighs the inconvenience), I find myself thinking of a sunnier time on the Island. 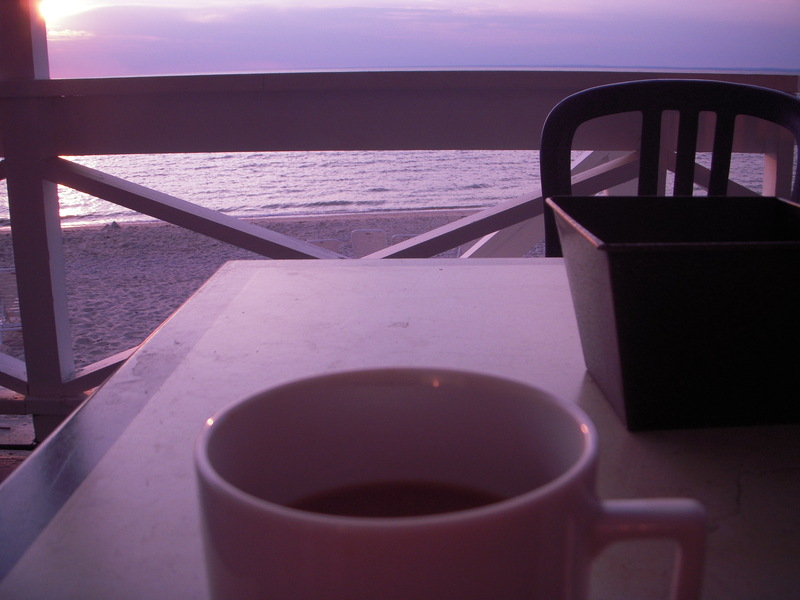 A deck in Greenport in the middle of August, with a fresh-brewed blueberry Keurig, overlooking the Atlantic Ocean. Barefoot. Oh, and staring at this treasury from TheMayFlower (I love her shop!) isn’t helping to get me moving. Doh! This entry was posted in etsy, life, Uncategorized and tagged coffee, summer. Bookmark the permalink. hehe, I’m sitting inside my place wrapped in a blanket drinking hot chocolate and watching movies. thank goodness it’s Saturday! we both have the right to be lazy!